1 : 1355000 Hammond, C.S. 1 : 1580000 Colton, G.W. 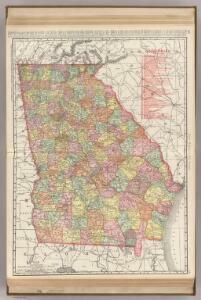 1 : 2230000 Lucas, Fielding Jr.
1 : 2100000 Tanner, Henry S.
Shell Highway Map of Georgia. 1 : 2250000 Buchon, J. A. C.; Carey, H. C.; Lea, I.